The designer who helped create the iPhone at Apple is now officially going to be part of Apple’s arch rival: Google. That’s right, on Monday afternoon Google and Nest announced that the search engine giant plans to spend $3.2 billion acquiring the smart home hardware and software company. Nest’s founders: Founded by entrepreneurs Tony Fadell and Matt Rogers (also formerly of Apple), the company only launched a little over two years ago with grand ambitions to redesign unloved devices like the ignored thermostat and the hated smoke alarm. Creating an entirely new product category for these sectors is difficult and expensive, and it could have failed on many levels. But it didn’t: the founders got the launch product right, and drove such high demand for their thermostats that Nest’s valuation soared from $800 million in late 2012 to the $3.2 billion it went for today. Nest’s investors: Nest’s $3.2 billion acquisition is no doubt a win for Nest’s investors. Nest’s investors include Google Ventures, Venrock, Kleiner Perkins, Al Gore’s investment fund Generation Capital, Lightspeed Venture Partners and Shasta Ventures. Here’s Lightspeed Partner’s Peter Nieh blog post on the deal. Nest has always been quiet about how much it’s raised over the years, but we know it raised tens of millions before launching, and, as we first reported, another round of $80 million towards the latter half of 2012. It was reportedly working on closing some $150 million in funding from Yuri Milner’s investment firm DST, but the Google deal could have trumped that round before it closed. Without DST’s deal, Nest would have raised (conservatively) a total of somewhere between $100 and $130 million. With the DST deal, it would have been closer to $300 million raised (though, like I said, I’d speculate that didn’t happen). However, by either of those standards, $3.2 billion is a good return for the funds raised. Cleantech investors: Some of these investors — like Kleiner Perkins and Venrock — needed a big win following some of their more difficult bets in the cleantech space. Nest showed how a cleantech investor can make a good return if the investment also looks more like the digital sector (some call this cleanweb). Nest’s smart thermostat can reduce a home’s energy consumption, though that’s not necessarily why people are buying it. The Kleiner Perkins brand: It’s important to reiterate: Kleiner will be shouting this one out from the rafters. Looks like they already are. Overall home energy consumption: Technologies that manage home energy consumption just hit the big time. A couple years ago Google shut down its home energy software experiment PowerMeter. But now Google is back squarely in the energy software space, and perhaps this impending deal was the leak behind Google’s fresh look at energy recently. Yes, Nest isn’t just an energy software and hardware company — its evolving into more of a consumer electronics and internet of things company — but it has one of the most interesting, sophisticated and coveted home energy tools out there. If Google is able to give Nest the resources it needs to get its thermostat and software out there at a much greater scale, that means lower energy consumption ahead for homes that adopt it. And that’s a good thing overall for the world and for lowering carbon emissions. Hardware startups: From a venture capital perspective, traditional hardware startups have long been considered difficult to scale and too expensive in which to invest. Over the last year or two, hardware startups have emerged as the cool players out there (like they were at last year’s SXSW). Such a good return for such a young hardware startup underscores that this trend has officially come into its own. Google’s design and robotics ambitions: Google has been focusing heavily on using design to remake its product lineup. The company just scored a team of some of the hottest designers and the hottest design products in Silicon Valley. Google also has clearly been interested in robotics and AI for awhile, and Nest has been using sophisticated smart learning at its core, working with robot guru Yoky Matsuoka. Apple: There’s been an urban legend swirling in the Valley for years that Nest would one day be bought by Apple, and Fadell would return to the fold of the iPhone maker. Even if that was completely untrue, Nest is one of the most Apple-like and Apple-inspired startups out there. Not only do its founders and key execs (like Apple’s former top lawyer) formerly hail from Apple, but it adopted many of the operating practices of Apple. It would have been a good fit with Apple and it would have given Apple a foothold in the connected home devices market. Companies that have sued Nest: Nest just got a lot of funds to fight any lawsuits that it’s been delivered, like the ones from Honeywell and most recently BRK, the company behind First Alert. Traditional thermostat makers: For decades thermostat makers have relied on a commodity product that had little smarts and no cachet. Nest has put the thermostat on the map as a device that can not only be sold at a premium, but can be the smart hub in a home. 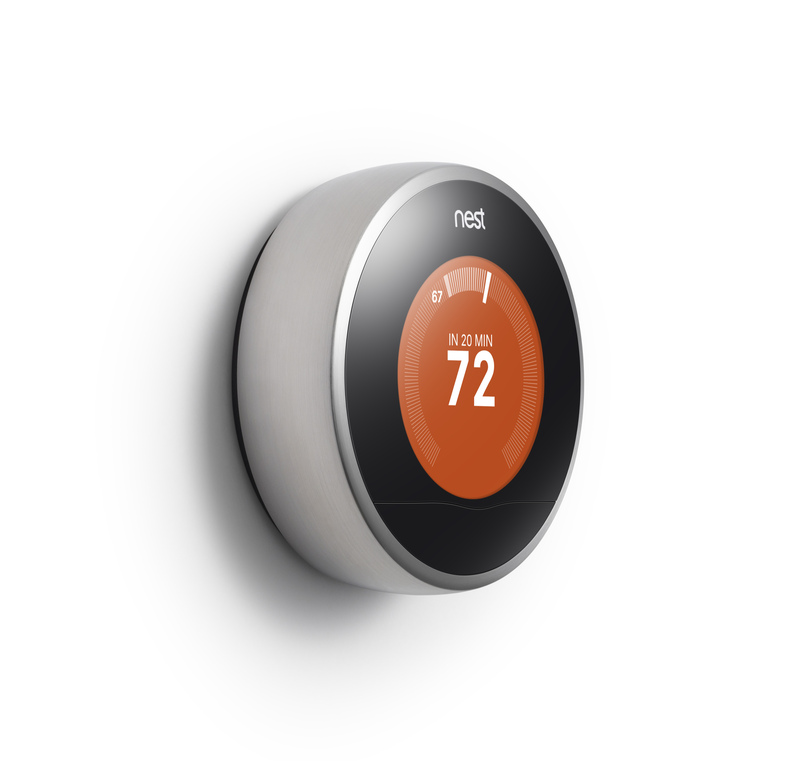 Now that Google is buying Nest, it only underscores the elevated status and possibilities of the thermostat. Slower-moving smart home device makers: Nest isn’t just a thermostat company, it’s looking to make a variety of products to connect the smart home. What Fadell and his team have been doing — combining design, smart algorithms, data and slick hardware — leads the industry, and now Google owns that. Any company that was worried about Google competing in the smart home now has to worry even more. Consumers worried about data: Google, the king of collecting and using your data, now has a peephole into the physical space of your home. Do you want that? If it chose to, Apple could develop the Nest inhouse for a lot less than 3 billion bucks. I wouldn’t consider Alarm.com vs. Nest. Nest doesn’t cost $40 a month if monitoring fees. “The designer who helped create the iPhone at Apple”?! Tony is the creator of iPod. Without the iPod, there is no iPhone. He was the “Advisor to Apple CEO” before his departure from Apple. I don’t know anyone else has such official title. Consumers will be the real losers here as this will be another data set abused by someone. There are no losers, only winners, and for the same reasons that everyone won when Google bought Waze. Google tends to take these acquisitions and share their fruits across platforms and devices, wherever they may further whatever Google wants to do. Pretty much everybody wins from that. Contrast what would happen in Apple had bought Waze or Nest: the next day following a sale, the related apps would be pulled from Google and Windows Mobile. Any users there would be summarily kicked to the curb. Apple never supports anyone but Apple and that is their right. But it makes a lot of losers all over the place, namely anyone who doesn’t use iOs which is still a lot of people, who are all irrelevant in Apple’s view. The mindset of these two companies are almost completely opposite. I don’t think you quite follow what’s happening around the world with smart cities and smart buildings. Otherwise you’d have to agree that BY FAR the biggest losers in this deal are Google’s shareholders. This is almost as dumb an acquisition as Motorola was. The biggest market for these smart devices is in the construction sector where they’ll be designed into the millions of new homes being built in “smart cities” around the world – particularly in China. The way these devices save energy is NOT by tweeting messages to your iPhone when your AC conks out. It’s by sending telemetric data to the utility companies that can be used to help manage peak loads. It’s estimated that around 20% of global electricity consumption could be saved this way. Unfortunately this requires that the device be connected directly to the utility network. While it might have been possible for Nest as a stand-alone company to be an acceptable vendor in this market, there is no way in Hell any local, regional or national government in any country in the post-Snowden world outside the USA will allow Google to go anywhere near their national utility grids. And without that, the Nest product line will wither and die and will eventually be overtaken by companies that are more politically acceptable. So the losers will be Google shareholders. Yet again. I would never put one of these things in my house for some hacker to kill me with. Katie, how should utilities feel about this, specifically those on the verge of deploying a smart thermostat program? Does this deal help the utility industry or hurt it? I think this is a big uncertain for the utilities. Google is going to have to fight on data validity and access and relevance, much as they did with Powermeter. This time, they have good ammo in terms of the world’s best Thermostat data. I don’t agree about apple being a loser just because the nest founders are fomer apple employees, and nest is “apple like”. Design is not something apple struggles with, so what exactly would they be getting for 3.2 billion? A thermostat and a smoke detector? Katie, exactly what data do you keep referring to ? Given that Google have over half the smart phone market in the US, over 1.5 million Android activations a day globally, access to emails of over 400M Gmail users, are you suggesting that what they have been lacking is secret insider knowledge about how warm we like our houses kept? Given that our cellphones have been inside the physical space of our home for over two decades now, it does seem like the sort of thing you should at least attempt to justify. I’m not questioning the purchase itself, because Nest as a business might be worth 3.2B depending on what one chooses to forecast, but journalists should not be feeding data paranoia. More importantly, no one I know foresaw any Apple reunion. Fadell was tossed for a reason: he turned the initial spearheading of the iPod into an autonomous unit reporting to him and he had no vision beyond the initial concept. He liked power, concentrated it, abused it to make himself a reputation, and missed the boat on the iPhone. Moreover, after he left, he took every opportunity to tell his version of the story and make himself more of a hero. Very un-Apple. The idea of a reunion is completely silly. 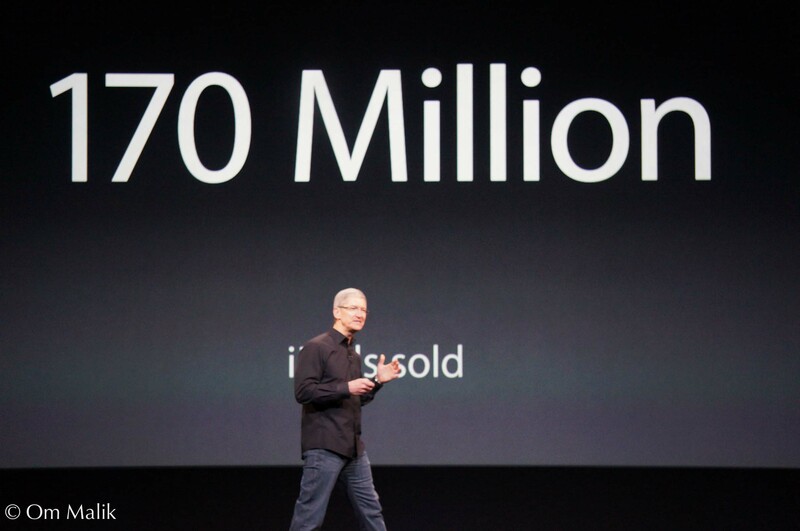 Yes, he was valuable to Apple during the ascendance of the iPod. He and Nest have little to no, if not negative, value to them now. I have to disagree with a lot of the sentiment here. Apple was not a loser in this. 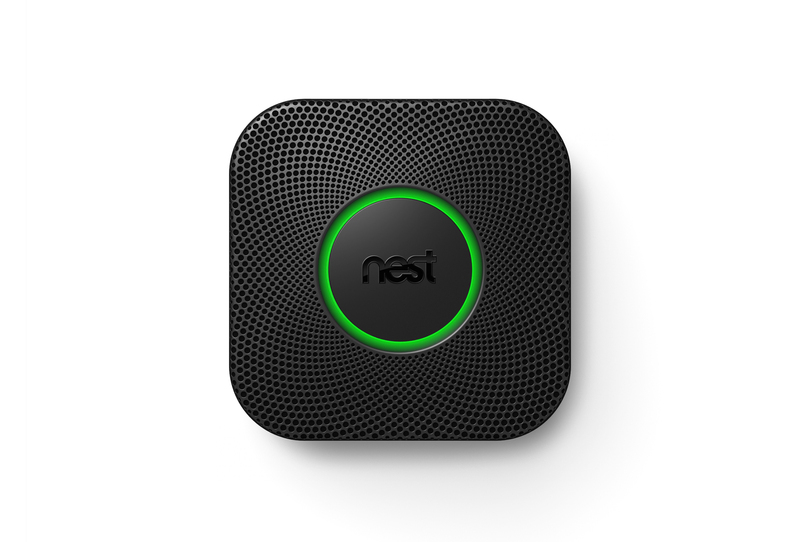 Nest was not Apple-like in anything other than the fact that it launched well designed and well thought out products. That alone does not make it like Apple. Nest was built on the boom-and-sell mentality of venture capitalists. They were always going to be looking for an “exit strategy” that netted them a huge pay off. Apple was built for the long term. Since the company almost went under and Jobs came back, they have done everything they can to make themselves self sufficient. That is a fundamental difference in business philosophy and the clearest difference between the two companies. Apple was never likely to buy Nest except in the minds of tech journalists. They can already do all the tech that’s in those products, so they don’t need the company to acquire technology. They used to employ some of the key talent but let them go, so they don’t want or need the company and an acqui-hire. They certainly don’t need Nest for any design talent. Apple tends to buy small tech companies that you haven’t heard of yet and spends years integrating that technology into their products. Buying Nest and continuing to sell a line of already existing Nest products isn’t their style. Companies that have sued Nest aren’t necessarily losers either. Yes, Nest now has more funds for defense, but they also have deeper pockets for damages to be awarded from if they were to lose a case. 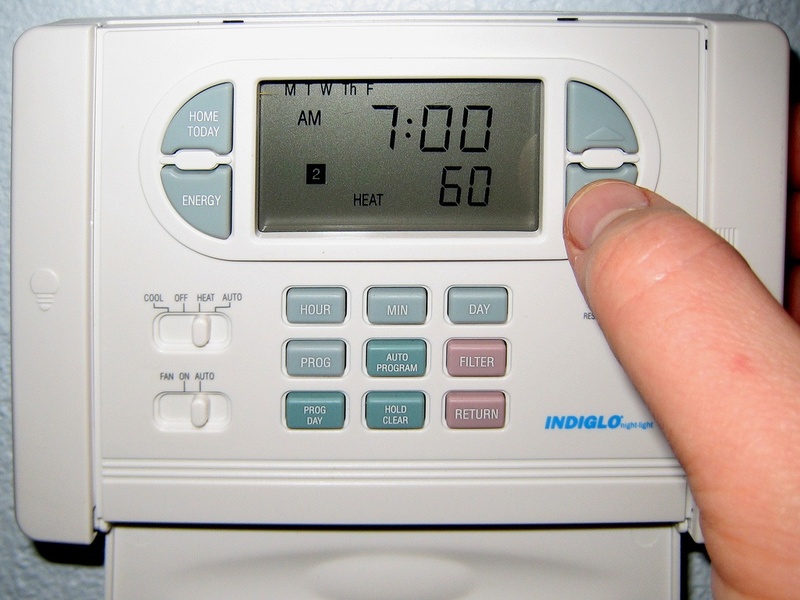 Traditional thermostat makers aren’t losers either. They have already seen the need for smart thermostats – you can by wifi enabled thermostats from heating system vendors and Z-Wave home automation friendly ones from stalwarts like Honeywell. If anything other manufacturers stand to gain here because there will be a certain percentage of people who don’t want to give Google eyes in their homes. Maybe traditional manufacturers need to step up their design game a bit, but they can do that. Consumers worried about data privacy are certainly losers in this. Google thinks Nest has something that’s worth $3.2bn to them. Sure, some of it is design and engineering talent and a pipeline of new products in development, but some of it must surely be the data. Any assurances that Nest gives now are worth less than nothing. Privacy policies have always been subject to change and this is no different. Even if it doesn’t change in it’s wording, at a legal corporate level they are now the same company, so you can substitute “Google” for everywhere you see “Nest” in the current policy. Winners… Well, certainly the founders and investors are winners and that’s all that matters in the VC world. Kleiner Perkins gets a shot in the arm for their brand too… yay. New hardware startups might be winners too, if you define winning as selling out to an existing massive corporation rather than building a new successful company. Maybe it will encourage more hardware startups, but the VCs might look at any new company and say “Your founders aren’t ex-Apple and ex-Google, so we don’t think you’ve got what it takes”. Overall energy consumption… ok, that might be a winner, but as you say Google already dabbled in this and then shut it down. They tend to do that, so lets see if Nest is around in 4 or 5 years time before we mark that as a win. America has to get more energy conscious and hopefully this will help, but Nest wasn’t the only thing driving lower energy consumption. Amongst the people I know who have Nest thermostats and the tech bloggers I follow, this has been met with disappointment. I think people wanted more from Nest than just another headline grabbing sell out. Would expound upon the notion that the tech press generally has no idea what the motivations are behind Apple which is maddening when Apple plainly outline what they do. And here’s a hint: they don’t concern themsleves with thermostats! What about Microsoft as a loser – they talk about being a devices and services company. One more front on the devices side has been breached. MSFT acquired R2 Studios last year a HA startup led by Blake Krikorian who created Slingbox. Apple and Google were also in the bidding war for R2 Studios. We’ll see if this translates into some HA features for the Xbox One. It certainly is powerful enough. Apple lose, Apple fail, Apple wrong, is the driving-motor of the TECH Internet. The Kardashian stories of tech blogs. It’s what the haters, the Microsofties, want to read. Not sure if there are any real losers here yet. Apple was never a good play for Nest because the value of Nest was the data collection from the Thermostat. 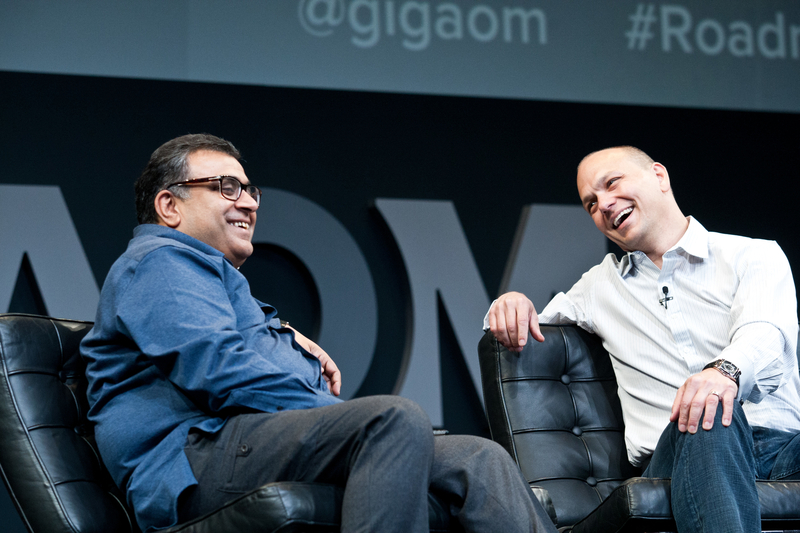 Fadell once mentioned how exciting it was to see Nests connect from outside their distribution network which speaks to what Nest was really chasing and that was a massive amount of data showing how people consumed energy in their homes across the globe. The Thermostat was just the trojan horse. Apple’s ambitions do not center around wanting to know what consumers are doing once outside the confines of an Apple Store. I’m excited for what this does for the space. While Nest is even tougher competition now the thermostat space isn’t slowing down. Netatmo just announced a new design. Allure Energy is working on NFC/iBeacon support for their gorgeous thermostat and Tado is making waves in the UK and Centralite which has hopped on the Zigbee HA bandwagon with upcoming products. This market is still blooming and as you said Google has dipped its toes in the energy waters before and pulled out. We’ll see how strongly they see profits coming from this new toy. Awesome times to be interested in energy. The products are coming and having Google hop back in lets us cast an eye towards Redmond and Cupertino as if to beckon a response. I whole-heartedly agree these are interesting times. I think this is a platform war, and Google/Nest is in the lead. Former champion in North America was probably OPower. Watch out for Honeywell or someone to buy OPower. Or, better yet, someone to buy Honeywell.